ATZ Irrigation is your local outdoor lighting experts! We are licensed for low voltage outdoor lighting systems. Our landscape lighting installation is for decorative lighting fixtures. ATZ Irrigation has a large selection of exterior light fixtures to choose from to fit with house architecture and homeowner’s taste. We use high-quality parts with manufacturer warranties. Our approach uses simple designs by using plug and play parts to enhance your landscape appearance at night. Our lighting services deploy only low voltage for ground wire distribution and it not directly connected to 120 volt AC house electricity. Our landscape lighting approach of strictly using low voltage is safe, durable and the state-of-the-art of technology. 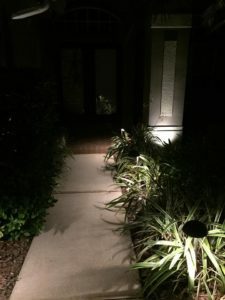 Get pro outdoor lighting Now! Ready to have the best looking house on the block? ATZ Irrigation highly recommends “light emitting diode” or LED lighting over incandescent lamp lighting for design flexibility, environmental durability, and reduced operating costs. Our lighting design and implementation can endure the destructive Florida climate for many years. LED lighting is the best way to cost-effectively provide color to outdoor lighting for a WOW factor. We are your local resource for architectural, landscape and outdoor lighting. Our custom design highlight and define the architectural characteristics of your home and property with shadows, colors, and bright lights to contrast your building design, foliage, and trees. 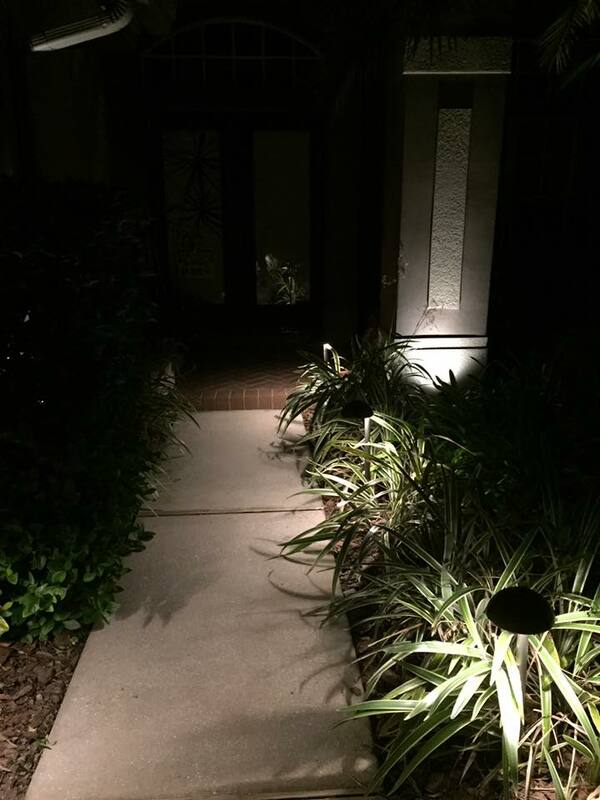 ATZ Irrigation wants to improve the curb-appeal of your home at night. We use the newest technology and artistic design principles to create a unique effect. Ready To Make Your Neighbors Jealous! 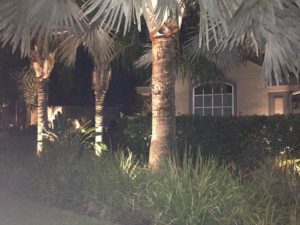 For our reasonable Outdoor Lighting Services, call (727) 937-7177 for Quick and Reliable Service in the Tampa Bay area. We make your home look great at night by highlighting the landscape that’s usually hidden in darkness.